Alinna sat with sad golden eyes on the hard concrete steps of her Neoschool, remembering the way she looked severely normal. A basic colour – how she hated it! She had been the same colour at birth and never changed. Boring old yellow. That’s what the name of it was. The actual description sounded a lot nicer if you ever described it. Everyone else called Alinna’s fur colour a golden yellow, a much prettier amber than any gold nugget. But Alinna just shrugged; too depressed in her own thoughts to really think about it properly and the other Neopets left her alone. Alinna didn’t see her fur colour as a yellow honey colour; she saw it as the colour of a mouldering Poppit’s head. Lessons hadn’t even started but she was already in her deepest blackest mood, so thick and uncontrollable it was like a grey fog, shrouding Alinna’s mind. No one knew why Alinna was like this. Once a kind Shadow Krawk named Jelly had shown Alinna to the bright and colourful Games Room years ago, with so many flashing paths and rainbow doorways leading to the lively and fun games. The joyous smiles of those that came out showed that even they had fun, even the ones painted a disgusting colour, like Snot or Dung. “Alinna, do you like it here? Do you want to play one of the games? How about Whack-A-Kass? That’s always really fun – you can hit one of the greatest super villains of all time!” Jelly said hopefully. “Why not?” Jelly asked, still trying to feel bouncy and not crushed by Alinna’s decision. “’Cause they’re brightly-coloured and pretty-lookin’. I’m not,” Alinna said grumpily. “No. But it’s better than plain yellow,” Alinna said. “It is not! Imagine that! Dung dripping off you, you wouldn’t know whose it was when it came on a paintbrush, and walking around all smelly! Honestly, flies would be sticking to you as if they were glued on!” Jelly cried. Alinna imagined that but couldn’t find it worse than yellow. “S’not that bad,” Alinna muttered. “Ah! Snot! Would you like to be that? A gungy, yellow-green colour, such a vile shade that anyone who went near you would puke! And no one would touch you ever, or take your Neopoints, because they would be dripping with the slime!” Jelly said. “Yellow’s worse. At least Snot looks better. Looks a lot nicer than yellow. 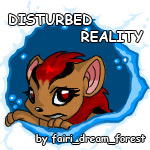 So I don’t want to play a game, because playin’s for shiningly bright Neopets,” Alinna mumbled despairingly. Jelly despaired too, and then changed it into fury. Jelly had always been a fan of grammar and writing, so it wasn’t really a wonder that she said that. “You! Yellow Mynci! Are you miserable about your colour?” the scary voice asked her. Alinna swivelled round slowly and carefully before nodding. “Then why not join me? I am an artist, and I like to paint new colours for the sakes of Neopets! I created lots... you can see them in the Rainbow Pool. But one thing I don’t have... is someone willing to let me test on them. Please say you’ll be my subject!” Now Alinna could see the owner of the voice. She gasped with the incredible sight. He was a golden Blumaroo! A pure, dazzling gold! He seemed to radiate pure light and he had a top hat and tails with a walking stick. “I am Mr. Bemling. I painted myself. All I need is a couple of paint pots and a paintbrush; then there’s no limit to the brilliant colours I can create! And you could be the first Neopet in the whole universe to be painted a totally new, exotic colour! A magnificently bright one, so excellent and beautiful that everyone you saw would envy you massively when they even glanced at you. I have spectacular visions of this wondrous colour. Yet I am not allowed to test its brilliance on someone. You could be a handsome, unique colour... if I am given your permission, of course...” Mr. Bemling said, trailing off. He smiled broadly, knowing that he had hooked Alinna and that she was absolutely desperate to be painted something – anything – different. “Yeah, OK,” Alinna said, trying hard not to sound excited at the very idea. “The Central Mystery Island Neoschool,” Alinna mumbled. And now Alinna was sat on her Neoschool’s hard cold steps, wishing she had stopped to watch a game of Mynci Volleyball before dawdling straight to Neoschool. It was ten past nine and there was no sign of Mr. Bemling or his dazzling gold snout. Alinna’s ears were pricked up for the sound of the golden Blumaroo’s tap tapping of his sturdy black walking stick, with its curved handle and shiny black paint. Alinna sighed, this time not in a grumpy way, but a genuinely miserable one. Then she saw him! His top hat shining with a magnificent red ribbon round it! He looked very old-fashioned, Alinna thought, but in a marvellous way. Then he arrived, his walking stick knocking sharply and quickly against the concrete playground. He cleared his throat. “I have completed the plan,” he said. “But... because of the many rooms, you may need a map. It’s quite complicated, but it’s easier to steer by a map rather than nothing, don’t you think so?” Mr. Bemling told Alinna and handed her a grey and dull map. It reminded Alinna of her usual mood. “Come on then – no time to waste. Follow me, Alinna!” Bemling cried. Several hours later, Alinna was in a laboratory – an amazing place full of paintbrushes and steel walls, a kind of hybrid laboratory-art studio with pipes perfect for a happy Mynci to swing on. She still clutched her map in her tightly clenched yellow paws. She was trembling as she noticed a huge, futuristic-looking ray gun. “Ah, you have spotted my favoured invention, the Lab Ray Gun? It’s not quite finished and my brother, Augustus Bemling, a yellow Scorchio, invented this wondrous contraption. It’s supposed to change Neopets into random colours. Although Augustus does try to focus it on a particular colour, it nearly always turns out wrong. But when tested on other subjects, it can make their stats higher or lower! It’s amazing! But I prefer the more accurate and traditional way – paint. Anyway, let’s get started. We don’t want you yellow for much longer, do we now?” Mr. Bemling said, opening the door into the next room. As soon as he was through the door, he whipped out a paintbrush and carefully took some full paint pots out of a drawer. “Now, I’m going to paint you after my favourite thing in the world besides painting...” Mr Bemling said as he gathered his paint pots near an ancient wooden chair and signalled Alinna to sit on it. It was rickety and wobbly, but Alinna put up with it and held her Mynci tail tightly. “What’s that?” Alinna asked timidly. “Why, plushies, of course!” he said and smiled broadly again. Then he began painting. Dabs of paint were added to look like stitches, and indigo-coloured wool was added on Alinna’s head to look like plushie Mynci hair. In the end, the effect was very admirable and plushie-like. In fact, Alinna looked like a giant plushie you could by at the toyshop in the Neopian Central Plaza! “Oh, thank you, Mr Bemling! Thank you so much!” Alinna cried, looking at her whole new colour. But horror came with joy as one of Augustus’ subjects – a Uni - came out, wailing and sobbing terribly. He was snot and his stats were now down to the lowest ones available. He kept sighing about how he wished he had stayed Spotted and strong. “That’s why I prefer painting on the Neopets that are painted basic colours and are sad about their colour,” Mr Bemling whispered. Then he gave a hint of a grin. "Are you glad you changed from yellow? For the first time since her creation, Alinna smiled. And thanking Mr Bemling again, she ran out of the laboratory to show off her brand new colour. She wasn't going to have to put up with being boring old yellow again.